Solar thermal systems must be designed to meet the needs of the application and consider many factors in order to work reliably and efficiently. In addition to offering quality solar thermal collectors and balance of system components, Apricus also offers expert system design support. Project support can be tailored to meet the needs of the project and also the experience level of the system designer and installation teams. Systems sizing can involve a simple calculation of the approximate number of collectors through to complete, highly accuracy model using the Polysun software packing considering the environmental data for the location of the installation. 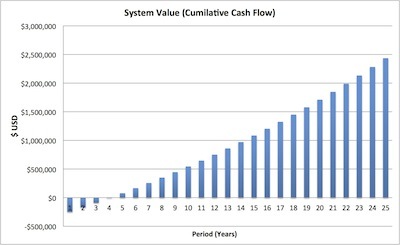 Given total system cost, energy costs, inflation, maintenance and other key variables, a return on investment analysis complete with cashflow projections can be provided. 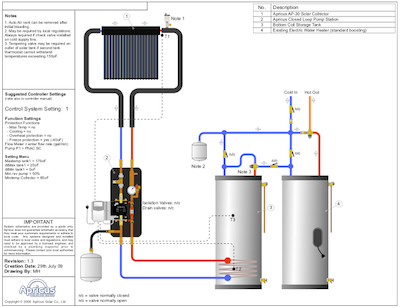 Some solar thermal systems require custom control parameters beyond what a standard controller software set can provide. Apricus is able to develop customized software for the MFC-1 controller for high volume applications, or work with PLC units for one off customized systems with advanced requirements. We are always on the look out for local partners that have strong technical and business experience to join the Apricus team in supporting solar thermal projects. If you are interested in working with Apricus, please contact us.